At GreenThumb Birmingham North our team consists of 4 staff, including 3 professionally qualified Lawn Advisors. We treat over 4,500 lawns each year, with each customer generally receiving at least four seasonal lawn treatments annually. Been with GreenThumb numerous years. 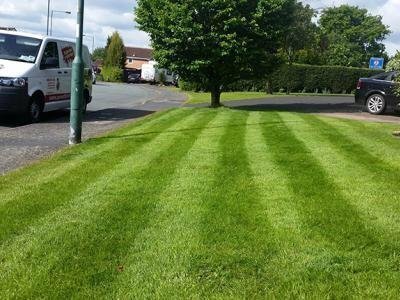 They are reliable, always helpful chaps, very pleasant, do a wonderful job even though I say it myself, my lawns always get great comments, no weeds great colour all year round best in road. Prompt, clean, reliable. Nothing to much trouble. 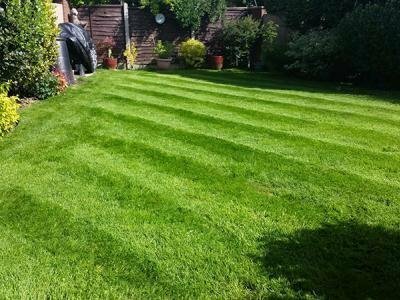 I have used them for the first time this year they have treated my lawn throughout the season and I am very pleased with the results. I will use them every year now. They have been treating my lawn for a couple of years. I have always found them to be prompt, always pleasant and professional. The traders are professional and always ready to help with a smile. Prompt, very professional and efficient, offering good value for money. Regular treatment is paying dividends with a much better looking lawn. Hi Jackie, Thanks for the review, we really appreciate it. We are thrilled your lawn is looking 'lush'.